We hold billions of individual data points on every company that has ever operated in the UK over the last twenty years. 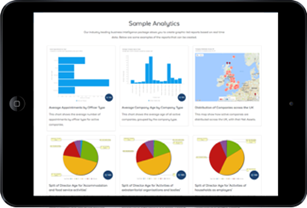 The data is generated from multiple sources and compiled using Qynn's algorithms and a bespoke business intelligence layer that allows you to interrogate and analyse companies and their industries to a micro and macro level. Qynn isn't about looking at something differently, it's about thinking differently. Welcome to our world, welcome to Qynn.